The Unfinished Mexicano Glazed Oak Door is beautifully manufactured from American Oak to give your home a fresh elegant appeal. Used in both traditional and modern settings, the Mexicano Glazed Oak Door has a modern look while remaining a traditional design. 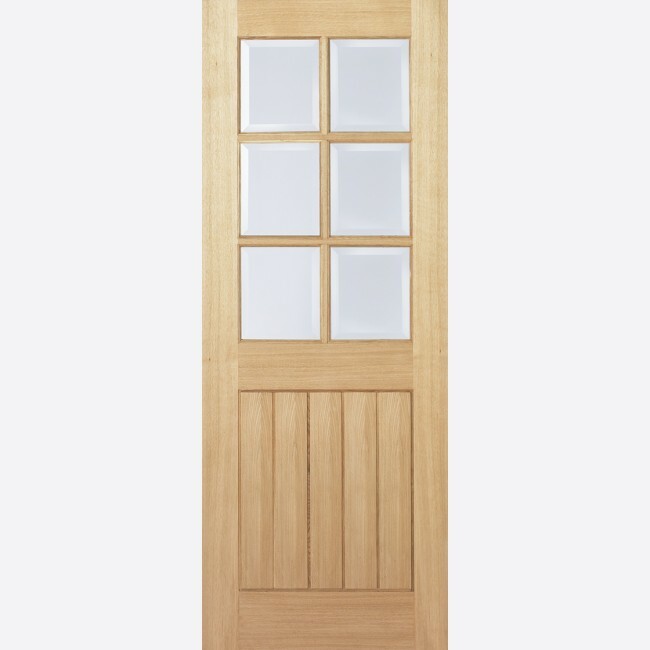 This internal doors has a handsome flat square groove layout with a border surround the vertical panels. These Mexicano Glazed Oak Doors are supplied unfinished. Oak Mexicano Glazed Doors are manufactured from engineered door components which can include MDF, particle-board and laminated timber. A good quality door at a reasonable price, with the LPD 1 year Guarantee. LPD Unfinished Oak Glazed Mexicano Door Codes - OMEXCG21 - OMEXCG24 - OMEXCG27 - OMEXCG30 - OMEXCG33 - OMEXCG626 - OMEXCG726 - OMEXCG826 - must be treated to manufacturer's instructions. - We cannot exchange Unfinished Oak Glazed Mexicano Doors after order - LPD Mexicano Glazed Unfinished Oak Doors are supplied as a Special Order. E. & O.E. see T&C - We do try to keep prices and specifi­­­cati­­­ons of LPD Mexicano Glazed Unfinished Oak Doors correct, but mistakes can be made!